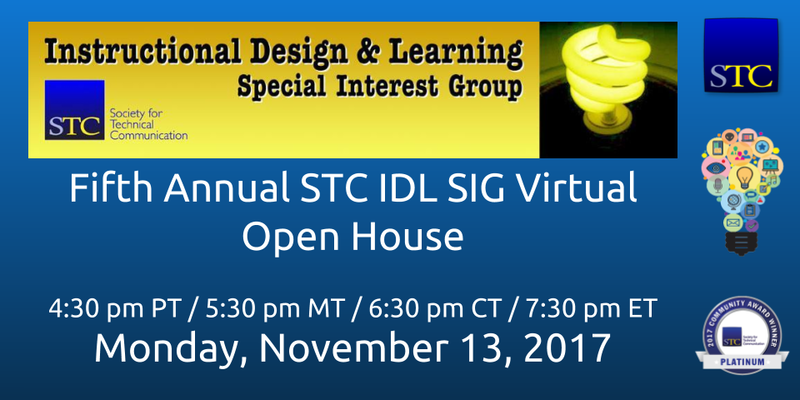 In November, the IDL SIG will host our sixth annual Virtual Open House. As a virtual community with members spread out around the world, it can be challenging for us to cultivate a sense of community. 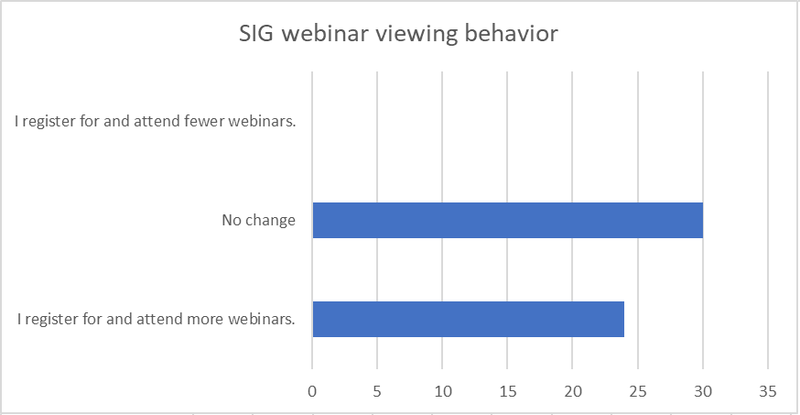 The Virtual Open House enables current (and future) IDL SIG members to learn more about our community and the services we offer by attending the live event, or by viewing archived events via the student database. 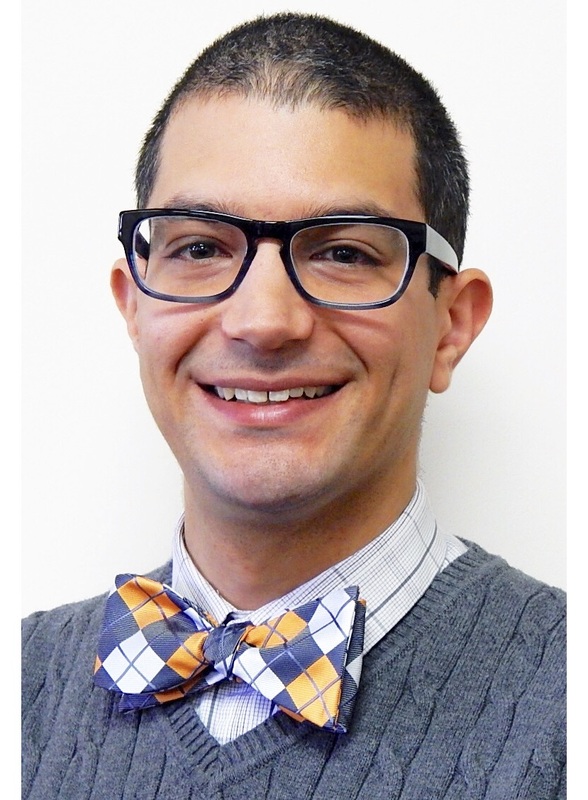 In addition, attendees get to meet members of the SIG leadership team and chat with fellow members. Even if you cannot attend live, you can still join the party once we release the recording. We will announce Virtual Open House dates and details as they become available. We’d like to combine our VOH with a virtual party (VP), where we would encourage all attendees to share a photo or story. The VP (not be confused with Vice President!) we hope will add a very human, personal side to our VOH. Hey, it is all about making real, enduring connections! See the 2016 VOH recording on YouTube. See the 2015 VOH recording on YouTube. 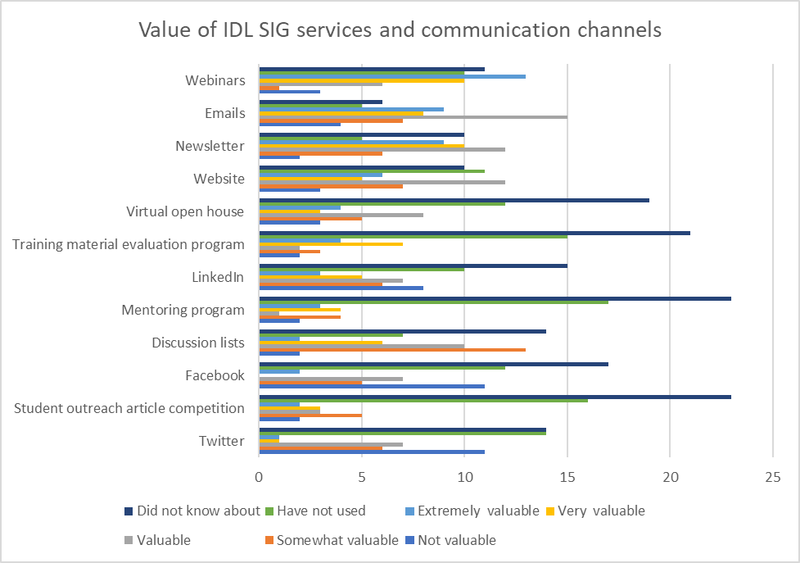 The IDL SIG 2016 Membership Survey results are in! 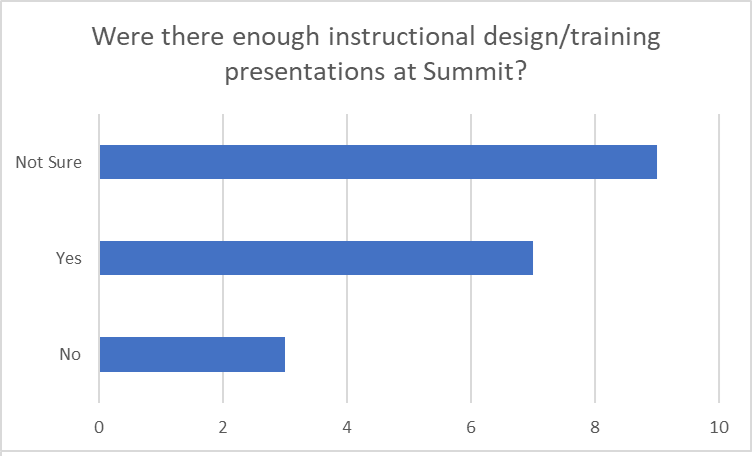 Download the IDL SIG 2016 Survey Results pdf here. 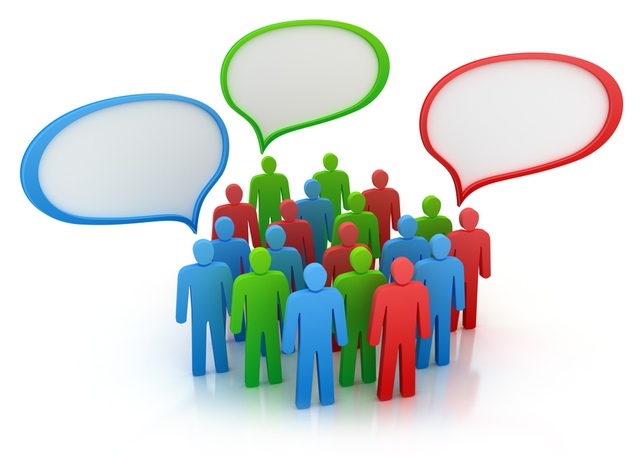 Thank you to everyone who completed our recent member survey – we had 95 participants! 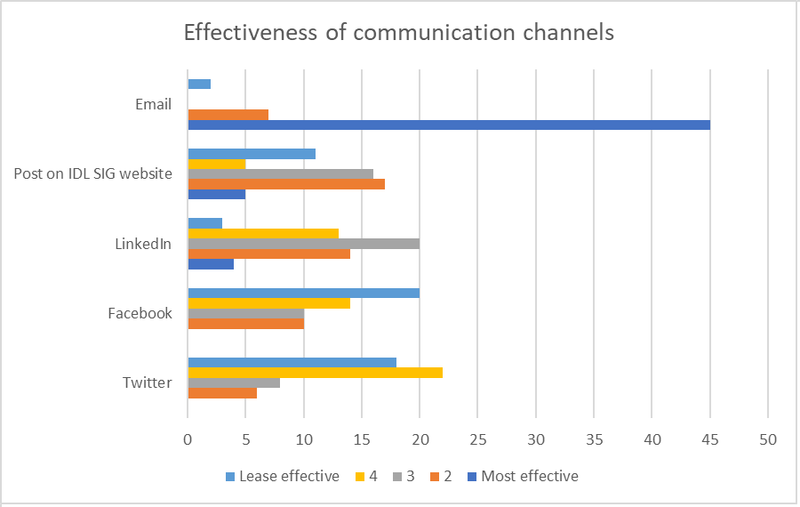 This information will help us plan programs and resources to benefit our members better. 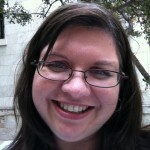 Congratulations to the two winners of the survey drawing – Laurie Marshall and Tony Roma! They each received a $50 Amazon gift card.